Our CEO & President, Heather Renschler, spent part of her Thanksgiving week in Phoenix with her family and the CRC Foundation. Calais Campbell, Arizona Cardinal Player (#93) and the CRC Foundation sponsored Turkey Trot at South Pointe Elementary School and a Thanksgiving Dinner Giveaway. They served more than 300 families in Phoenix! Do you or your organization have plans to give back to the community this Holiday Season? Email your story to social@ralphandersen.com or share it with us on social media! 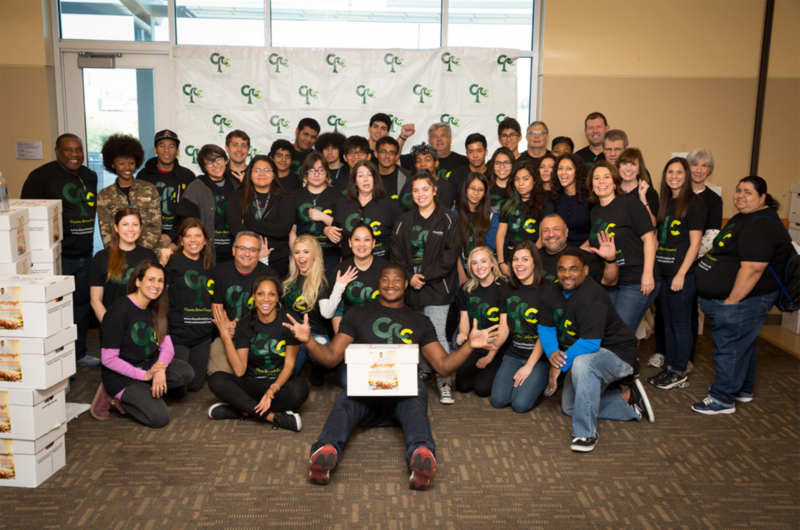 The CRC Foundation was founded by NFL player Calais Campbell and his family: mother Nateal and siblings Keyonne, Kemba, Jamar, Raj, Ciarre, Severin and Jared. The CRC Foundation is committed to the enhancement of our community through the teaching of critical life skills to young people. Through sports, creative talents, vocational skills, financial skills, and quality health and nutrition, the CRC Foundation helps develop young people into empowered and self-aware leaders for the future.